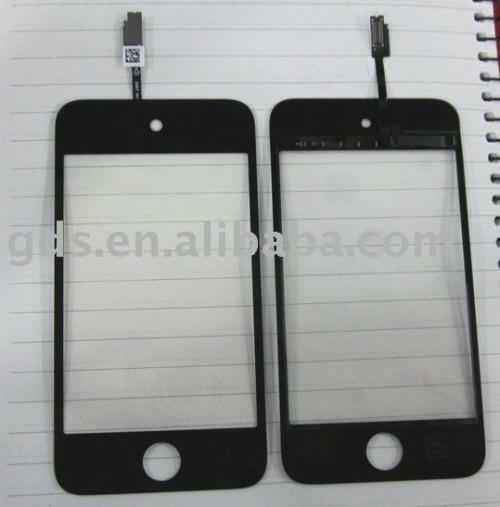 Next-Generation iPod Touch Parts Reveal Hole for Front-Facing Camera? Just after a fresh set of rumors suggesting that the next-generation iPod touch may be set to gain a front-facing camera in addition to a number of other features inherited from the iPhone 4, 9 to 5 Mac points to several merchants on Chinese trade site Alibaba.com offering claimed parts for the device showing a hole in the front plate that appears to be for a front-facing camera. 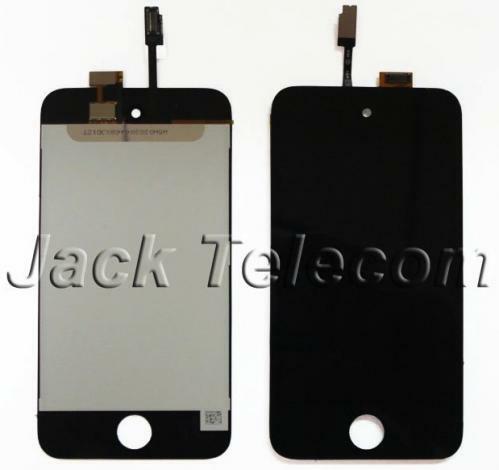 The first listing claims to be for an LCD and digitizer for the next-generation iPod touch and clearly shows a hole in the center of the front panel which would most likely be to accommodate a camera. The second listing is for the digitizer portion only, with no LCD included, and also shows the same camera hole. Both parts show the camera hole centered near the top of the device's front, a design feature that would seem to make for a more natural FaceTime experience than the off-center camera found in the iPhone 4. The iPhone 4's earpiece, however, prevents its camera module from being centered. With the iPod touch lacking an earpiece for traditional calling, Apple is free to center the front-facing camera. Another interesting aspect related to our earlier post on iPod touch rumors concerns a possible rear-facing camera. Prototypes of the current-generation iPod touch contained a rear-facing camera centered near the top edge of the device, unlike the iPhone that has consistently seen its rear-facing camera placed in the corner of the device. Should Apple be planning to include both front- and rear-facing cameras on the next-generation iPod touch, a centered front-facing camera would seem to preclude a centered rear-facing camera given the physical design constraints faced by Apple in trying to squeeze in a high-resolution rear-facing camera, much less back-to-back with a front-facing one.